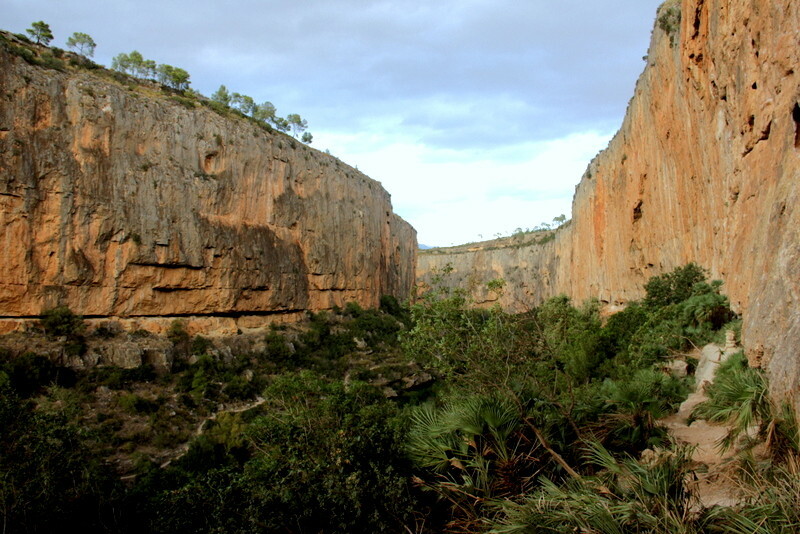 After summer season for mountaineering ended in the Alpes, I enjoyed two weeks of rock climbing in the backyard of Valencia. 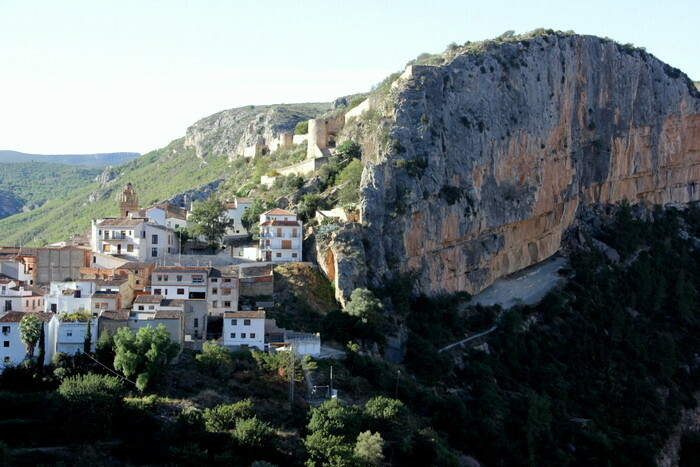 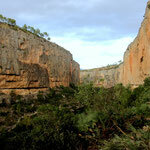 Just 60 km north of Valencia airport is Chulilla, an old climbing spot. 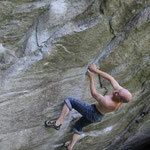 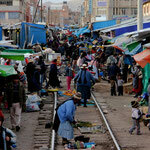 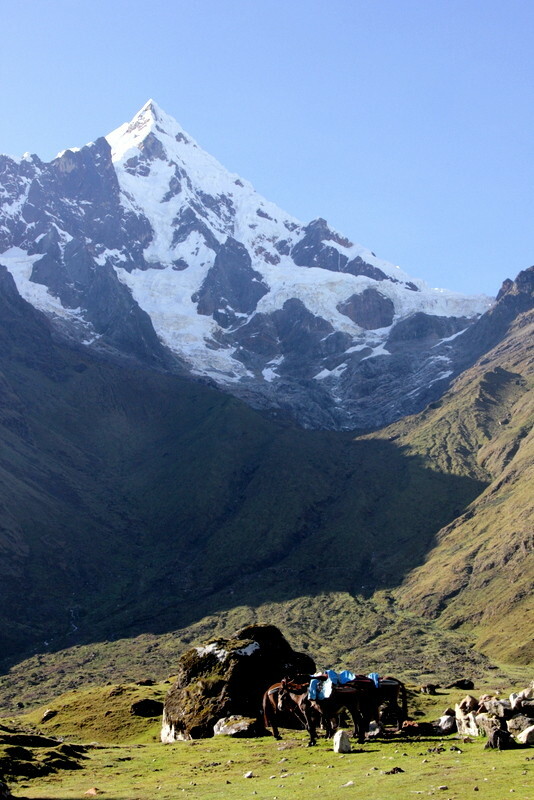 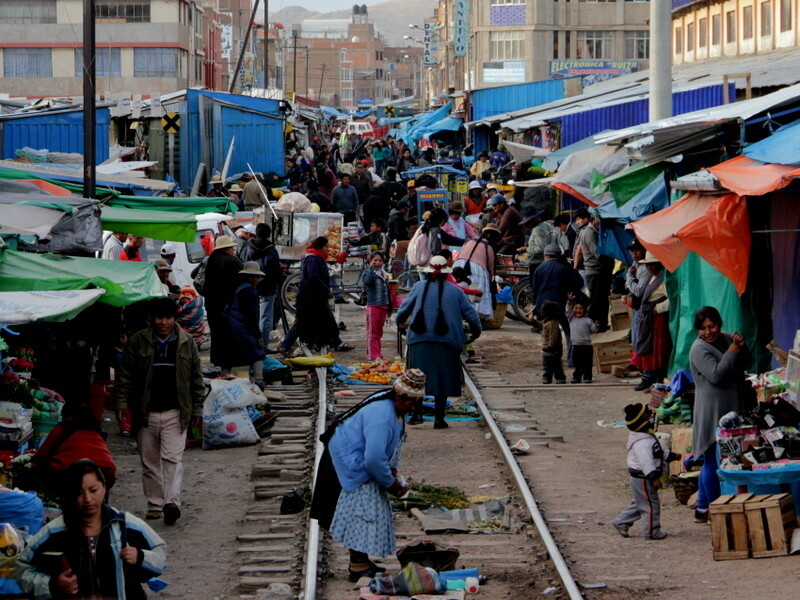 In the last few years lots of new routes have been opened and potential seems to be endless. 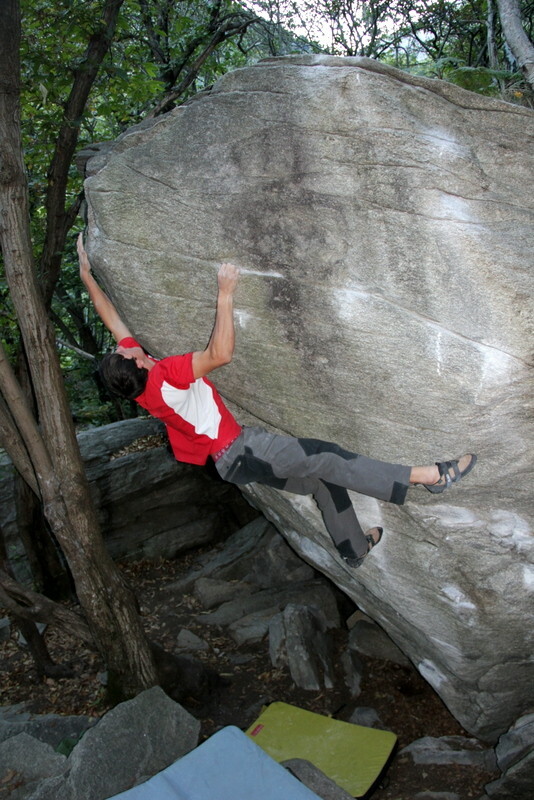 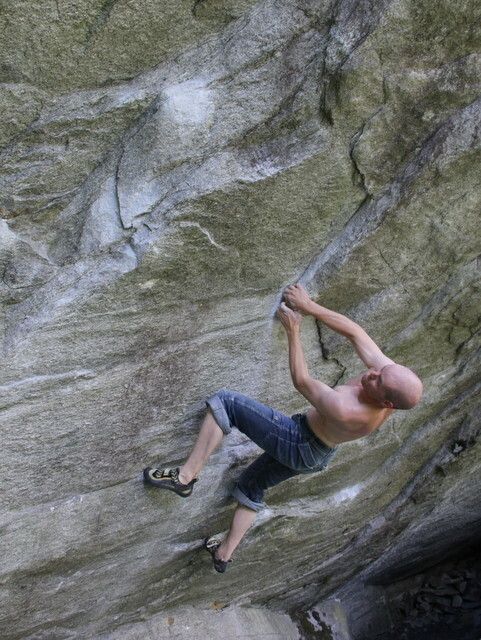 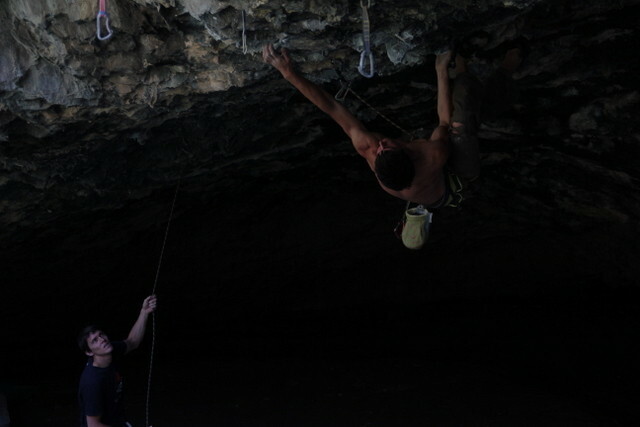 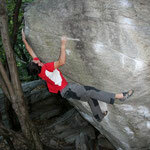 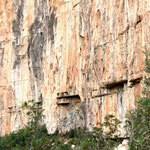 The climbing varies from crimpy to tufa routes and from vertical to overhanging. 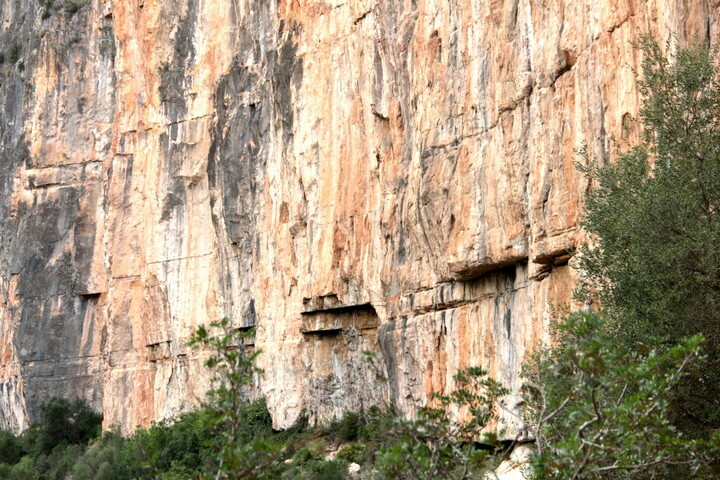 What they have in common is their length, often up to 40 m. I will definitely come back! 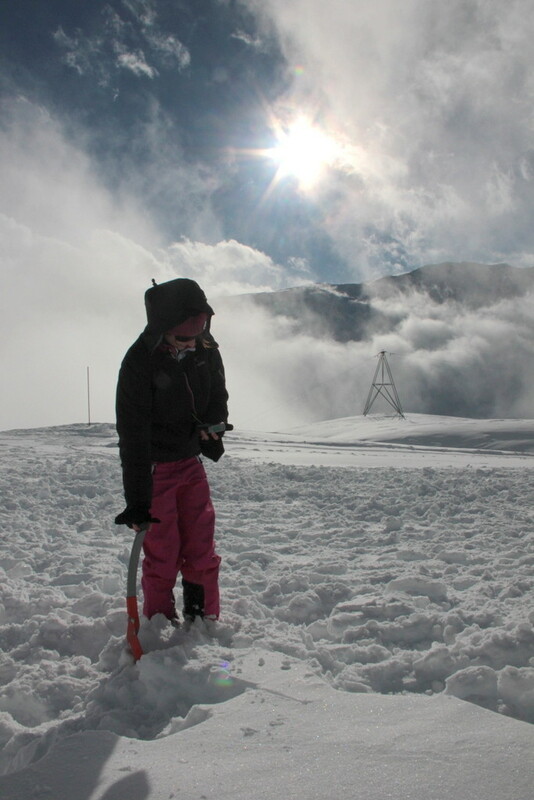 Das Wetter während der Osterfeiertage 2013 zeigte sich von der hochwinterlichen Seite. 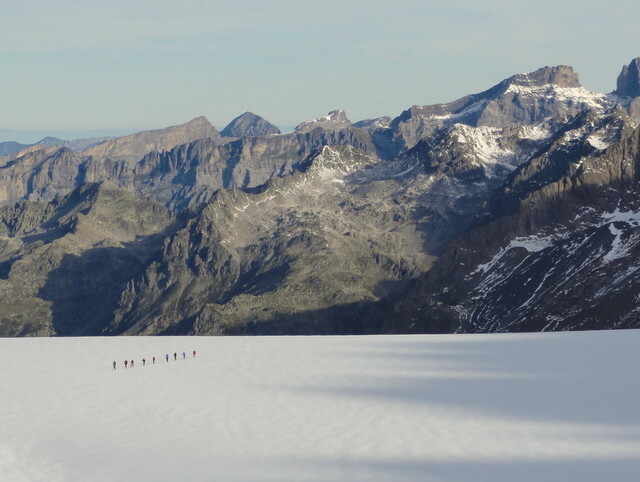 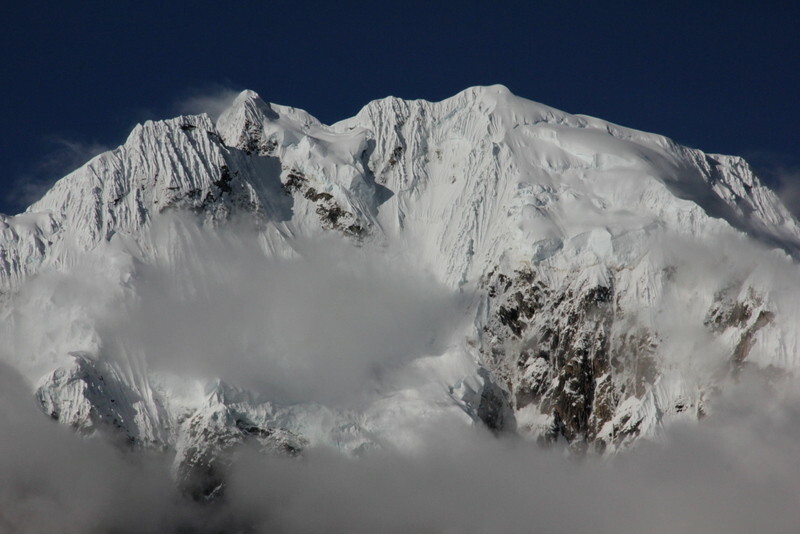 Daher mussten unsere geplanten Gipfelziele im Gebiet des Grand Combins von Tag zu Tag den Verhältnissen angepasst und abgeändert werden. 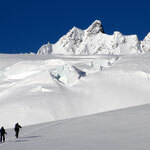 Belohnt wurden wir dafür mit herrlichen Abfahrten in bestem Pulverschnee, insbesondere bei der Abfahrt vom Col de Panossière über den Glacier de Boveire nach Bourg St-Pierre. 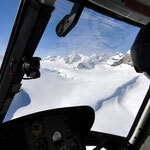 Middle of February 2013 we took advantage from the good snow and weather conditions and spent a day heliskiing in the Urner Alpen, just northeast of Andermatt. 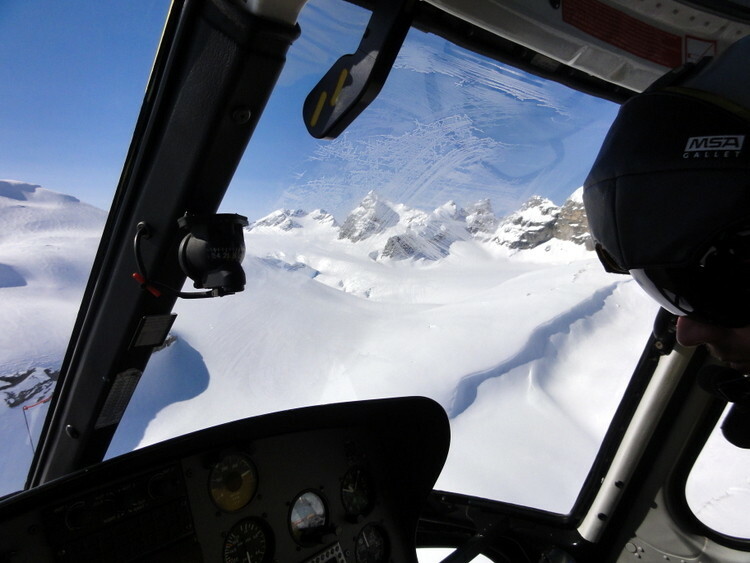 The first run went from the top of Hüfi glacier down to Linthal, where the chopper was waiting to bring us back in only a few minutes to Planura hut - 3000m above sea level. 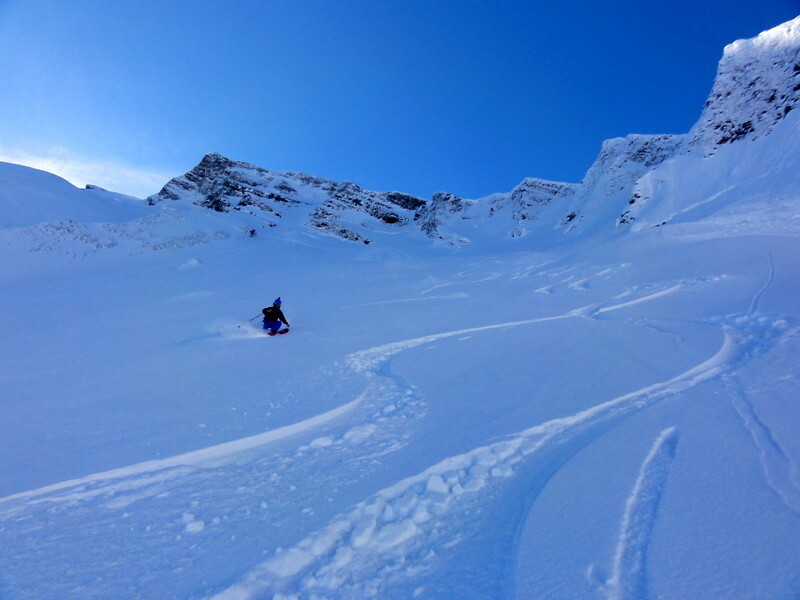 From there we skied in perfect powder snow 2000 vertical meters down to Uri. 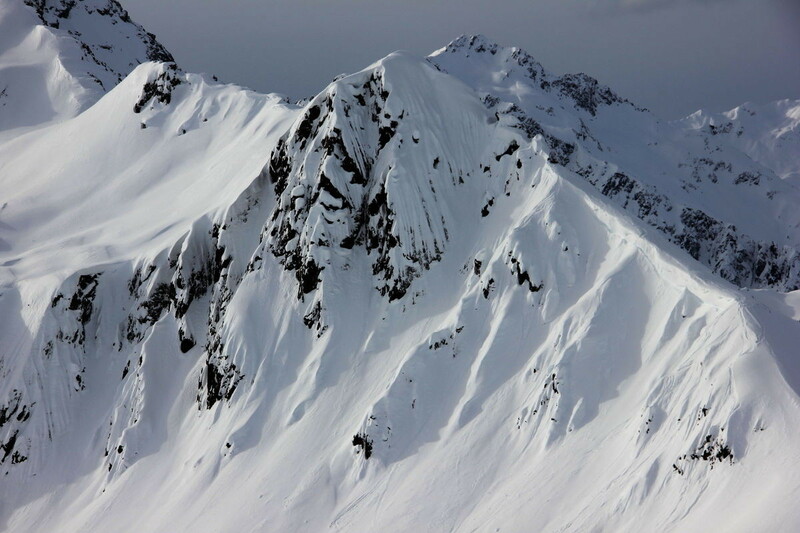 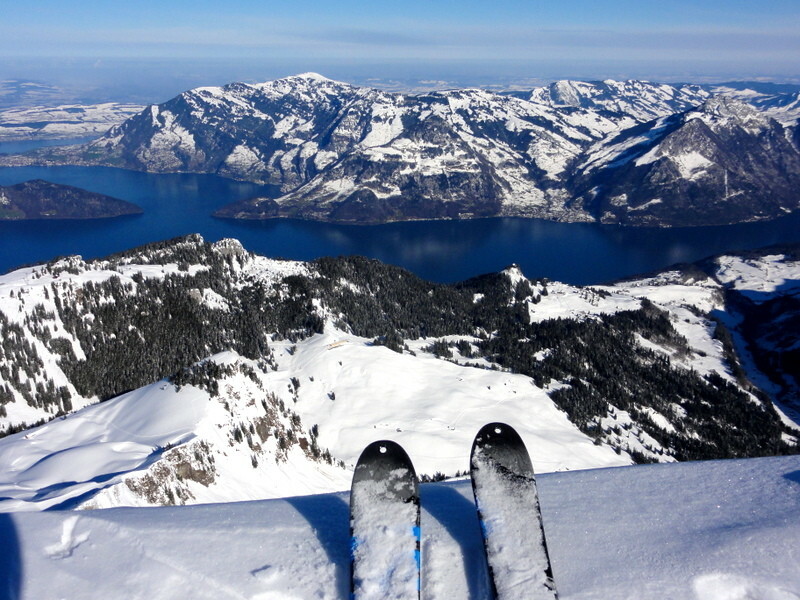 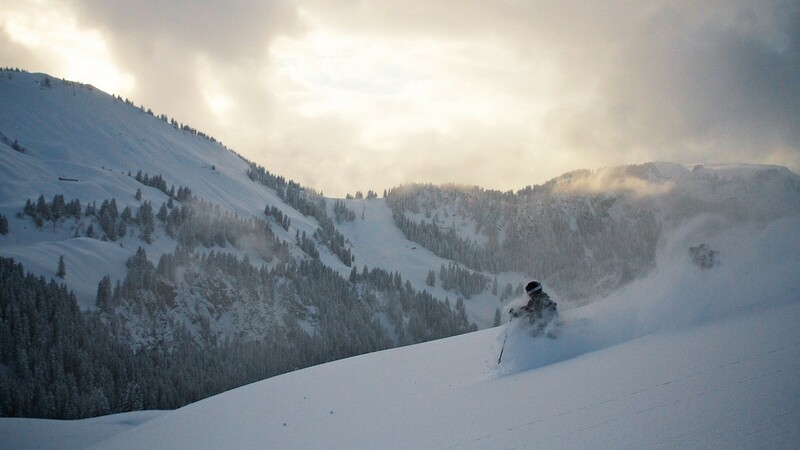 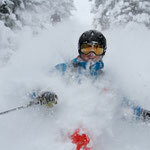 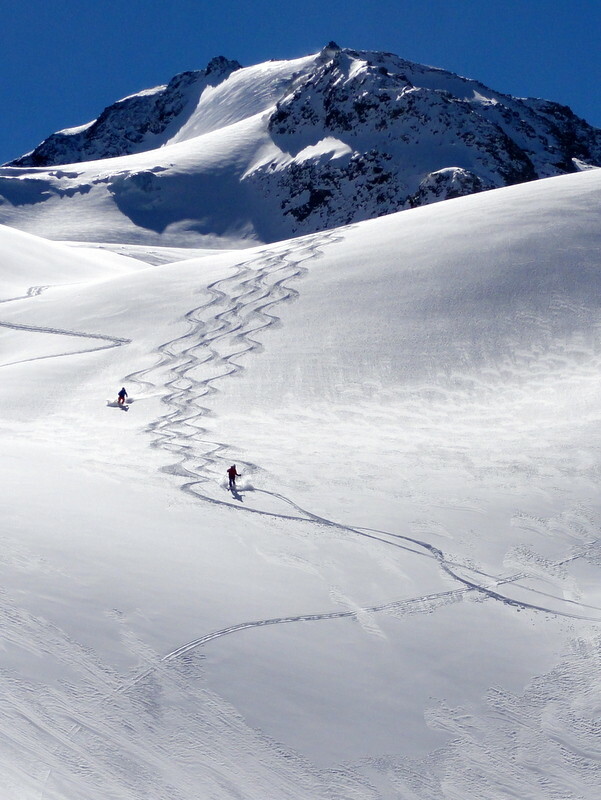 Where are the off-piste skiers? 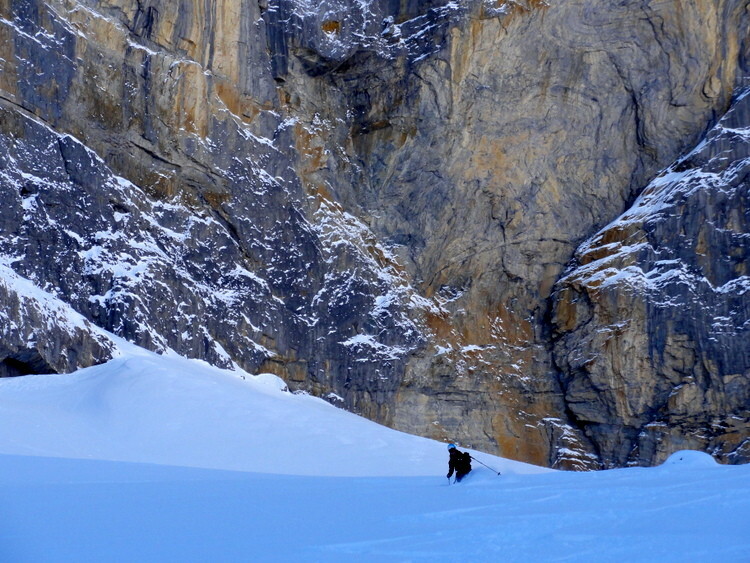 February 2013 was cold with several snow dumps in the valley of Engelberg. 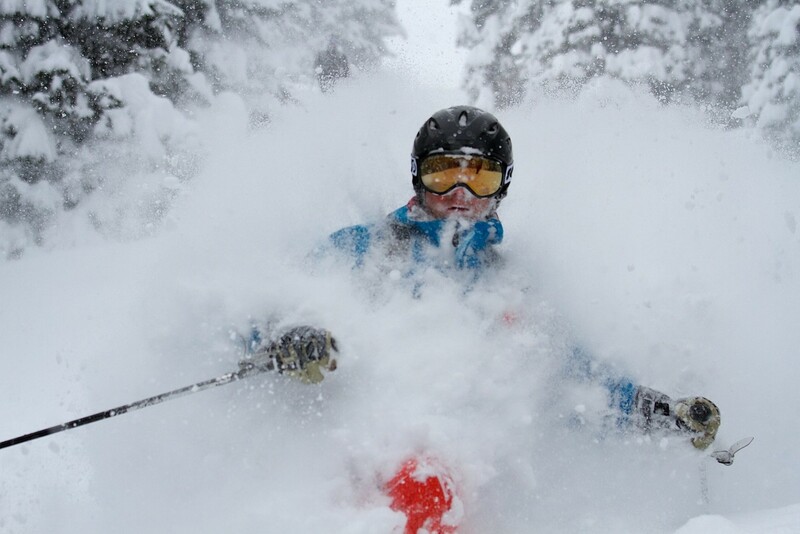 So it was obvious that snow conditions were great all over the valley. 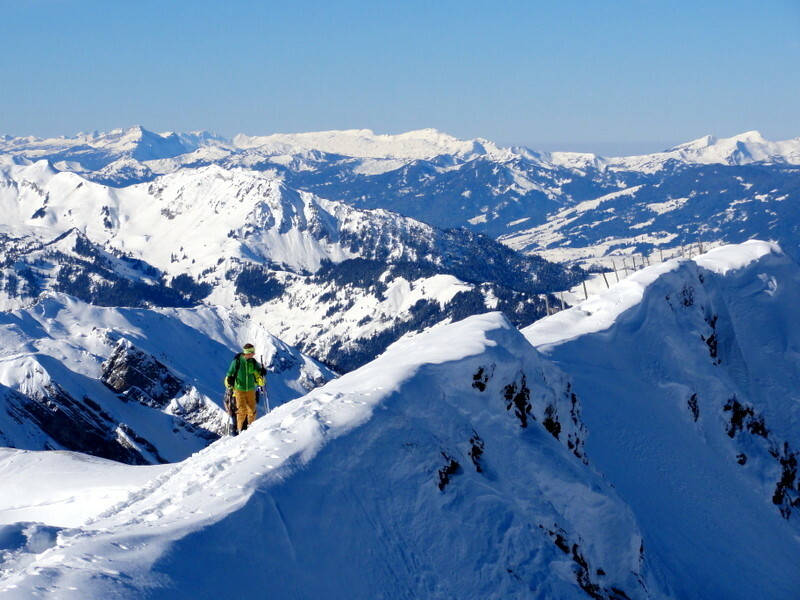 In February I often skied outside Engelberg. 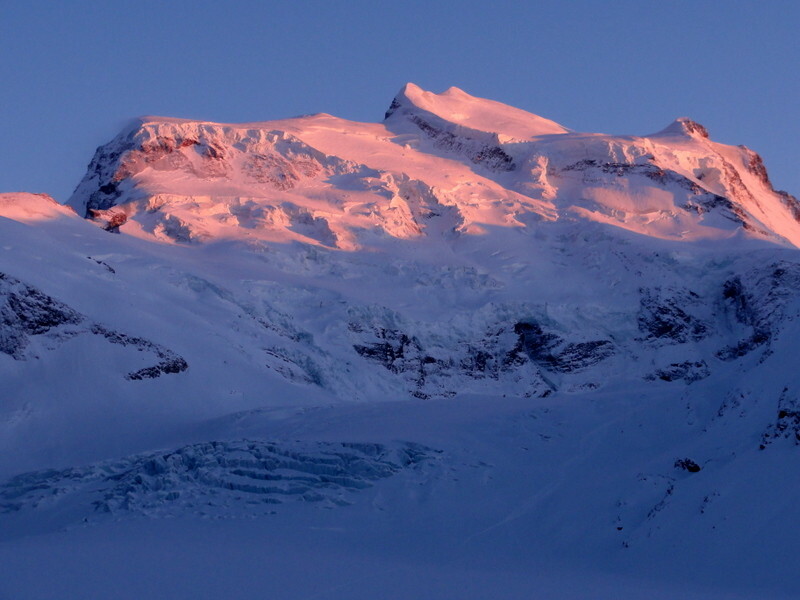 The reason was not that Engelberg was not great. 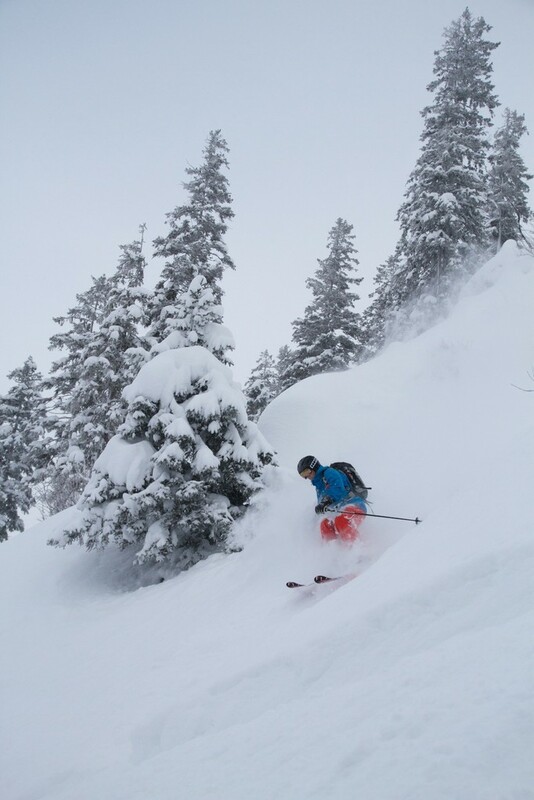 The reason was only that other areas were even better: almost no off-piste skiers, steep tree and pillow runs and hip deep powder for days! 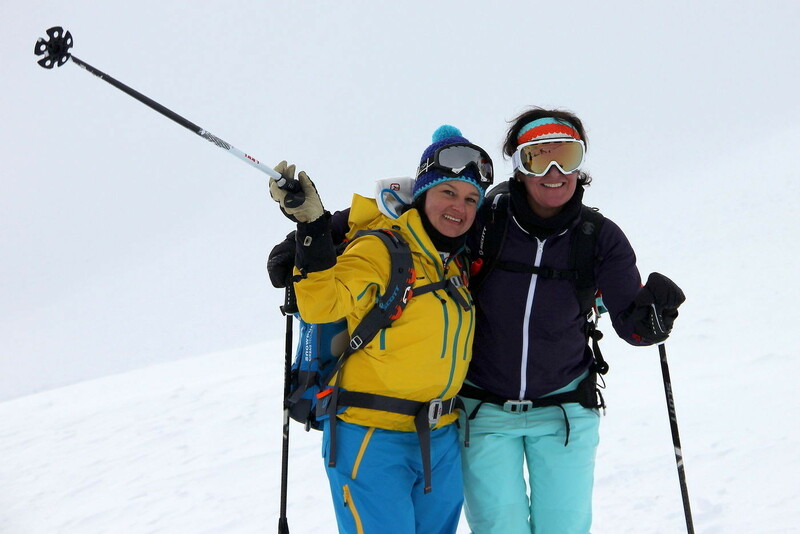 For January 20th I had the pleasure to join the Scott Women Freeride Days hold in St. Christoph am Arlberg, Austria. 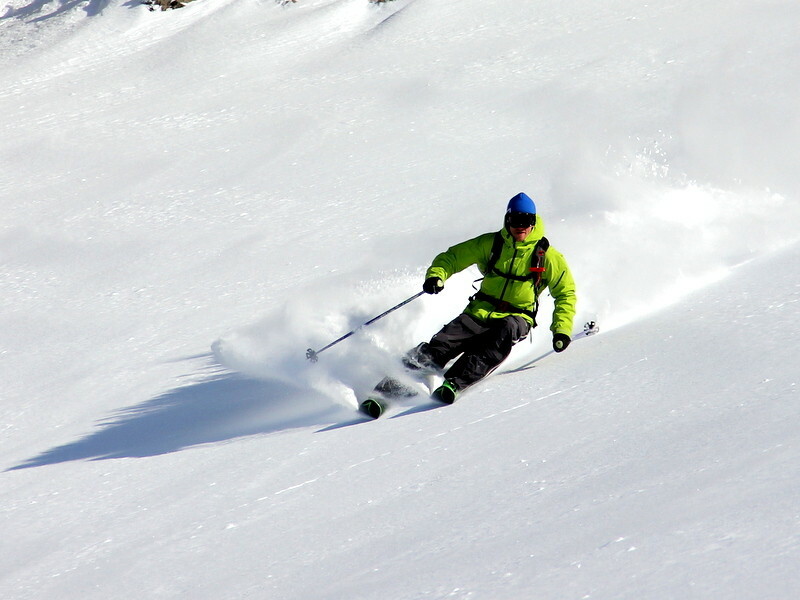 More than 20 participants joined the event to discover the sheer unlimited freeride and backcountry terrain at Arlberg. 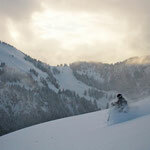 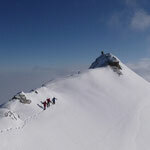 Our group went for a ski touring trip, starting in the ski area of Stuben. 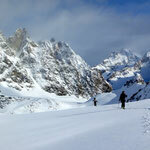 At the end we skied back through Maroital towards St. Anton. 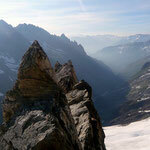 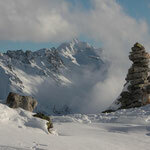 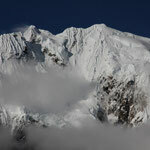 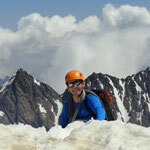 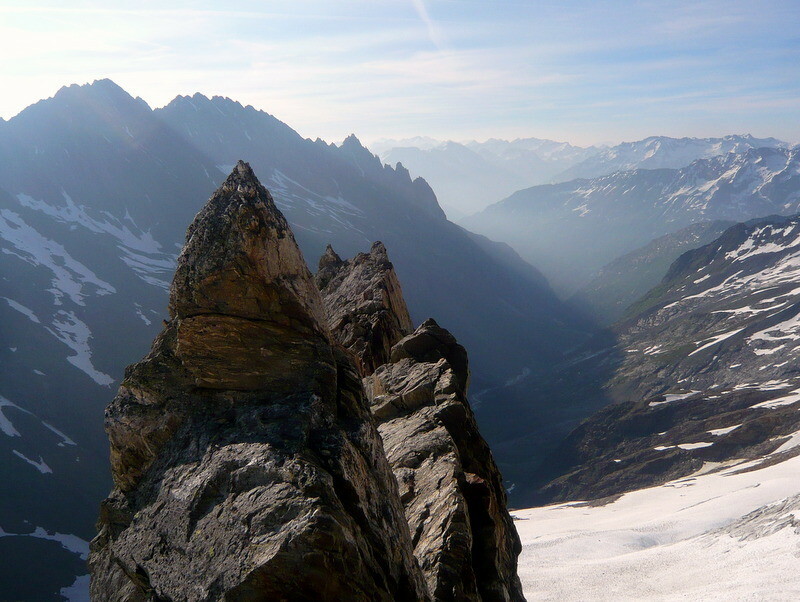 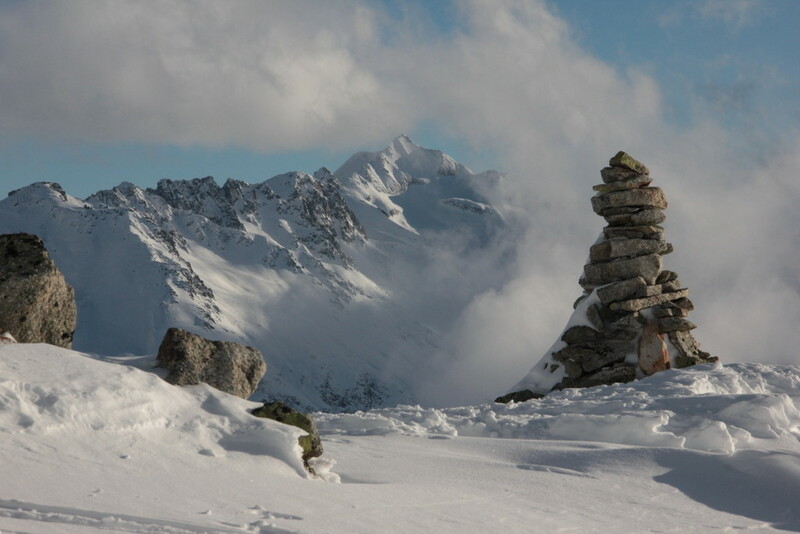 End of December and beginning of January 2013 I was guiding in the Valley of Andermatt. 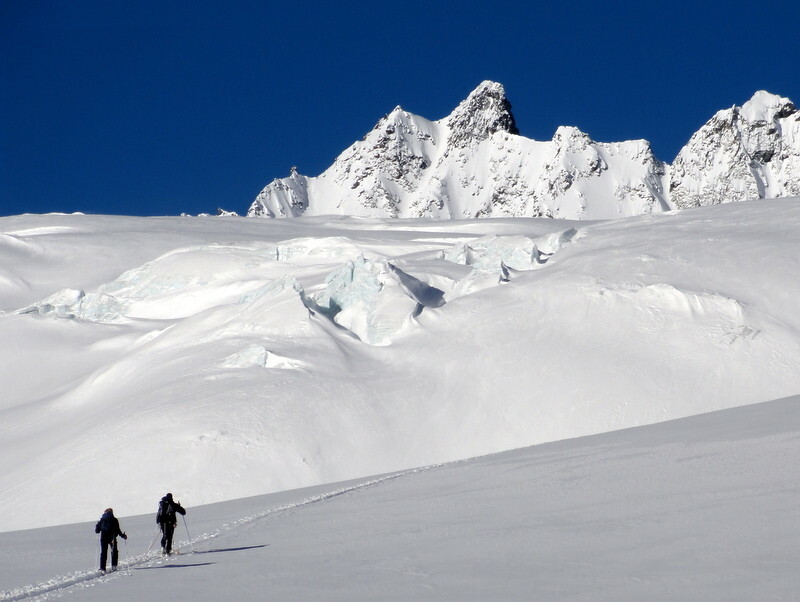 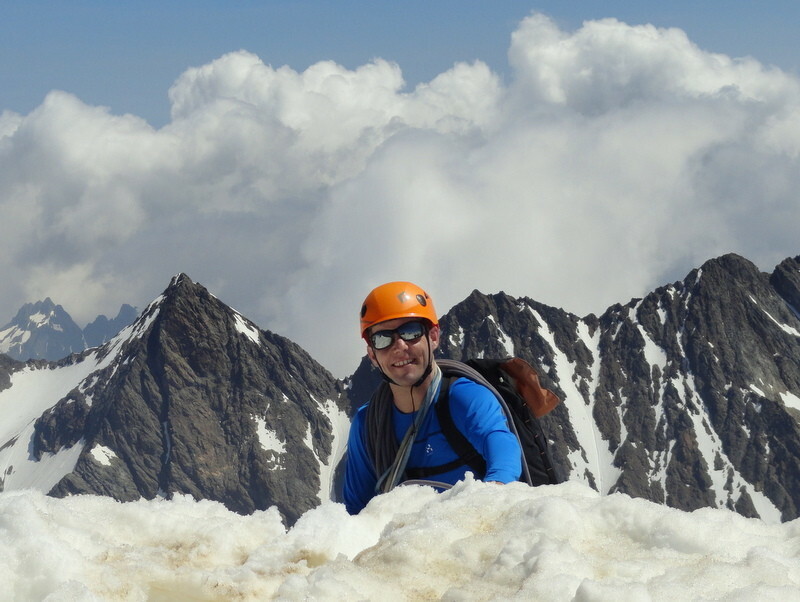 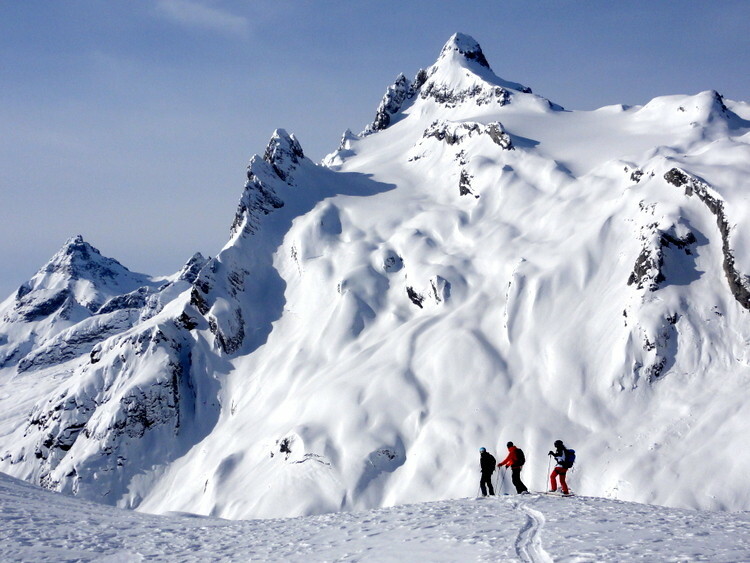 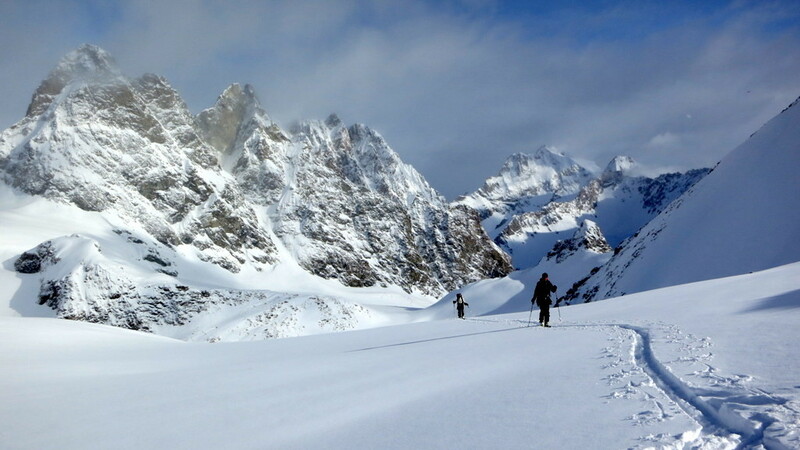 The client’s aim of these multiday trips were to get an introduction in the sports of ski touring with the main focus in avalanche safety training and theory. 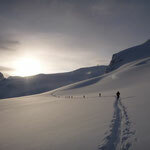 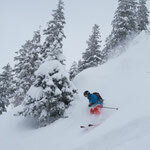 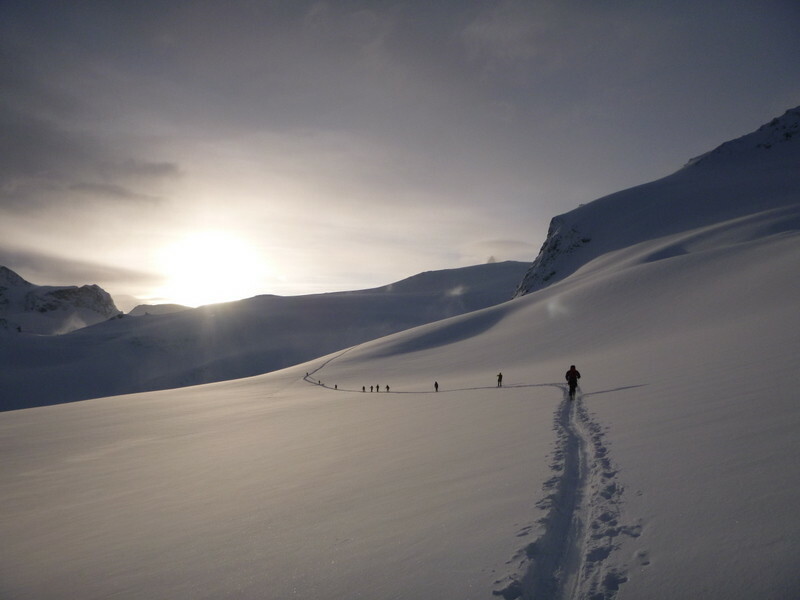 We did a lot of ski touring, avalanche safety trainings, snow pits and practical field exercises. 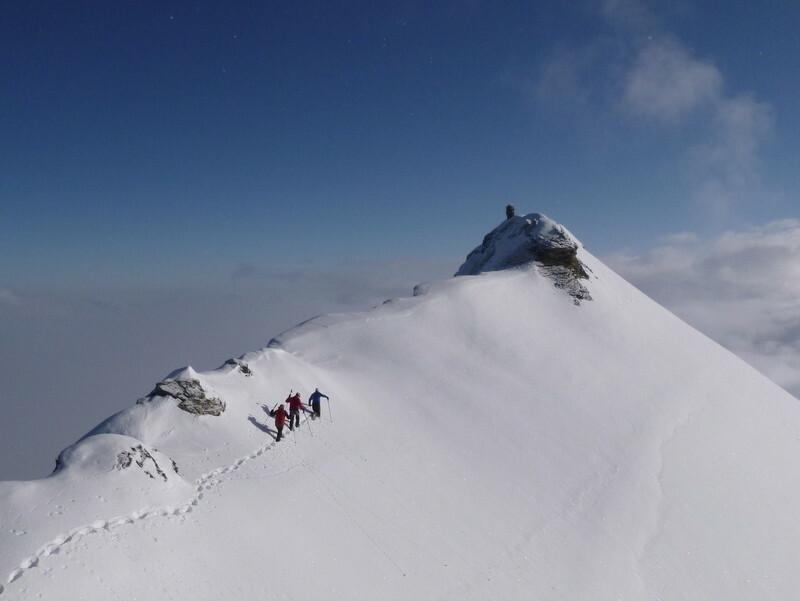 The hotel Tiefenbach gave us the right frame: Situated 2100m above sea level, it offers great ski touring opportunities as Chli Bielenhorn or Klein Furkahorn, hotel comfort, good food and class rooms. 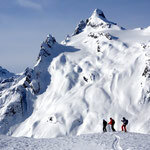 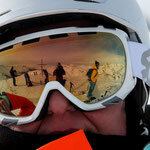 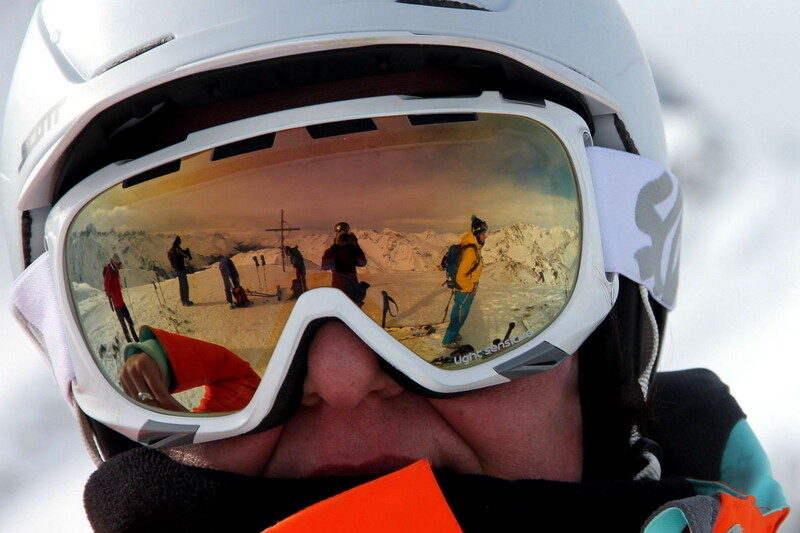 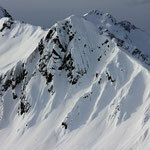 The access from Andermatt to the hotel and its superb skiing terrain is just a 2h walk.